“Il Tempo dei Sensi” is the name of the restaurant area of Griffin’s Resort. It is meant to convey a message that embodies an authentic philosophy, that of good taste and the awakening of gastronomic memories. 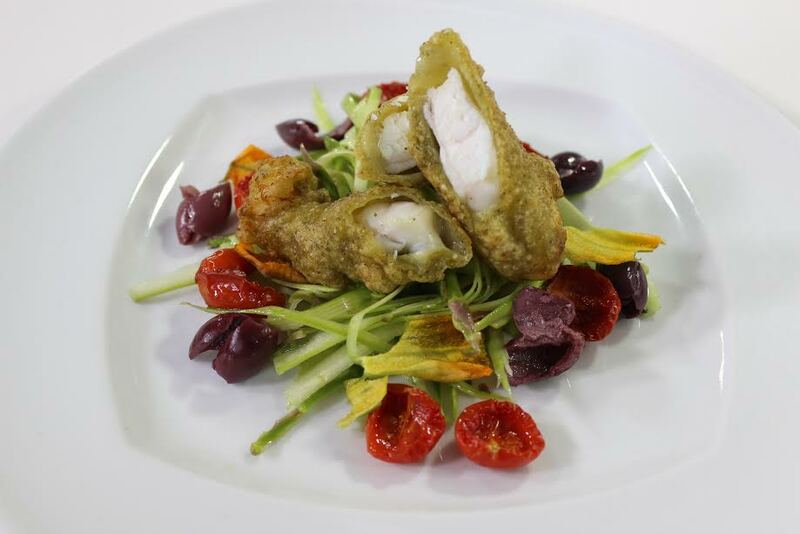 The project was founded as a collaboration with the chef Fabio Campoli of Campoli Azioni Gastronomiche. His style is both elegant and original, through the creation of a tailor-made concept. 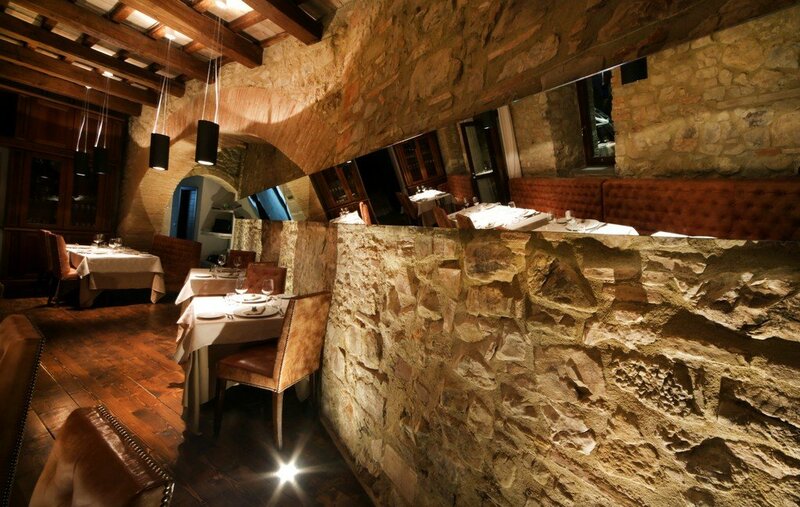 The restaurant has an indoor room, featuring stone walls and warm, elegant furnishings. 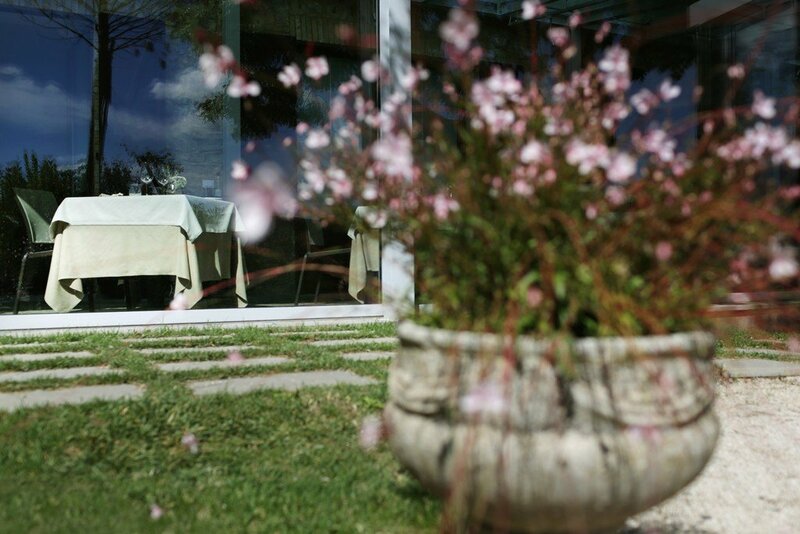 Here, guests can immerse themselves in a typically Umbrian atmosphere, ideal for a romantic dinner. 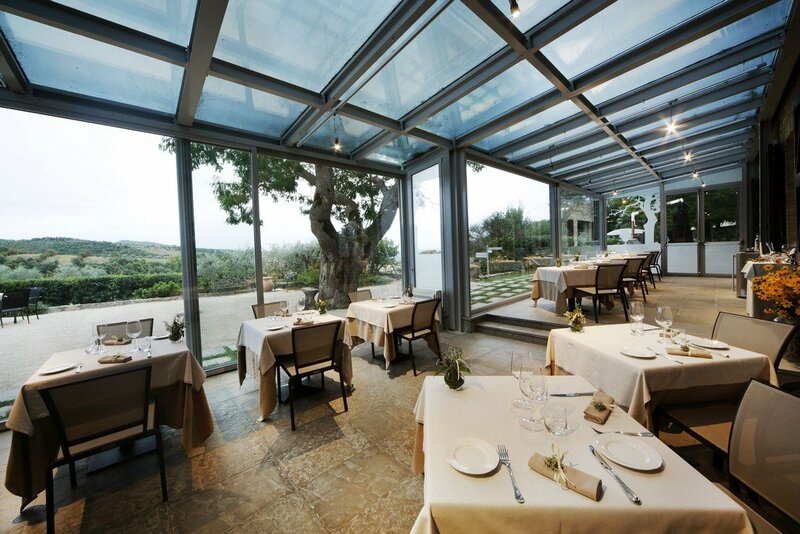 Beside it, there is also the elegant Veranda, a modern “winter garden”, whose transparency makes guests feel they are in the middle of the natural surroundings, making every meal a unique occasion. The Tempo Dei Sensi offers its guests a cuisine based on the authentic flavours and fragrances of the land on which it stands, using the products from our own estate farm, from vegetables to fresh fruit, from meat to our fine extra virgin olive oil. A bouquet of recipes that provides modern interpretation of the flavours of the region. In this way, it is able to satisfy the tastes of each guest, thanks to a range that reflects the care and attention that we give to the preferences of our guests. All this is made even more special by tasting cheese and salami from the local area, as well as by the selection of tea, herbal tea and natural infusions to make your dining experience even more complete. The secret ingredient of the recipes in the Tempo dei Sensi is revealed by the natural flavours of the fresh aromatic herbs used by our chef to enhance the flavour in a healthy and refined way, as well as spices from all around the world. In the Veranda, there is a wide selection for all guests who want to use them as a precious natural flavour to customize their choice on the table. 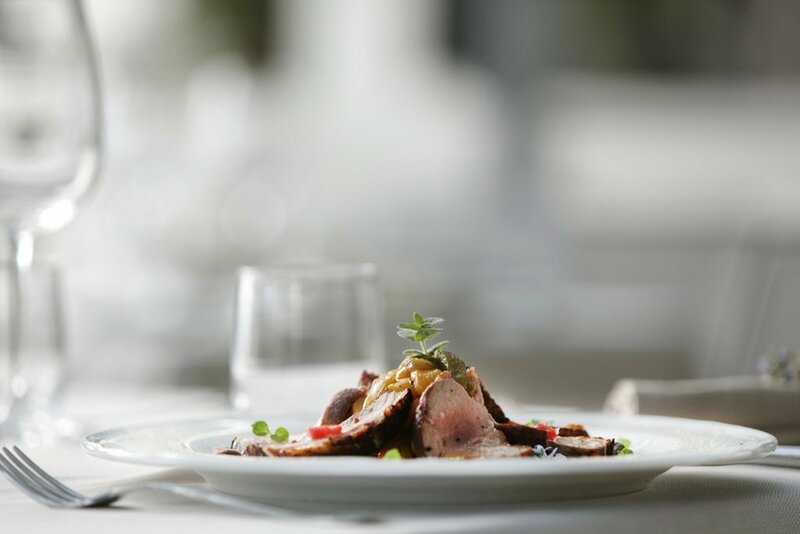 On numerous occasions during the year, the restaurant offers themed menus, depending on the different events hosted by Griffin’s Resort, from the Spring Festival, to the Orvieto Chamber Music Festival and Calici Sotto Le Stelle (Goblets under the Stars). In addition, when organizing banquets and private receptions, we offer our guests a high level of customization in the menus. 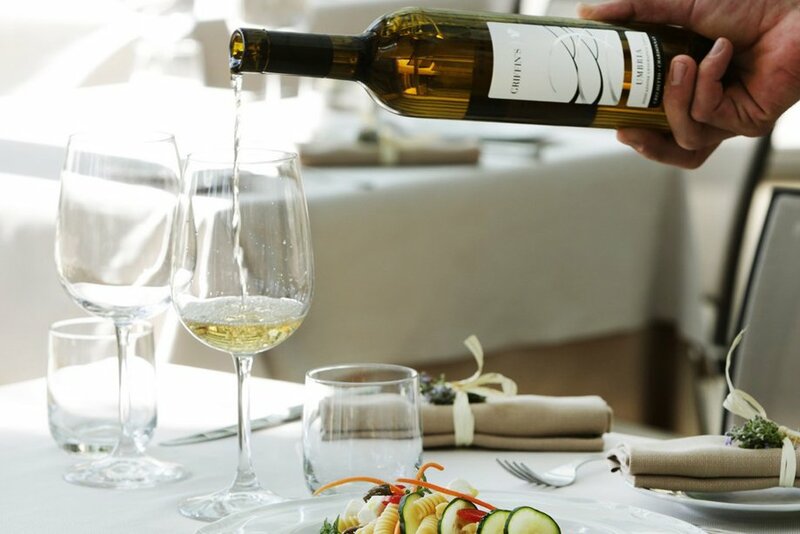 The wine list in the Tempo Dei Sensi is the result of careful selection, in order to offer the distinctive local labels (and others) to our guests, providing the ideal accompaniment to the specialities in the menu. Our flagship wines are those bearing the Ponziani Wine’s label, coming from the winery in nearby Cantina Ponziani, which turns perfumed white grape varieties (Grechetto and Chardonnay) and red grapes (Merlot and Cabernet Sauvignon) into highly esteemed products. Our dishes have a strong genuine character, our ingredients make them delicate, and our presentation gives them a touch of elegance. 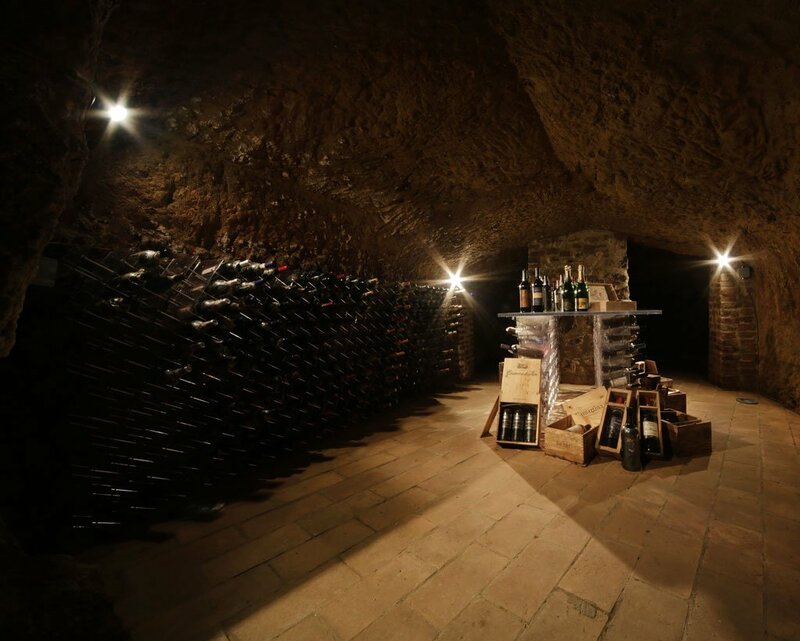 An almost “secret” entrance, hidden from view, leads to the impressive wine cellar in the cave, a gem of our restaurant. 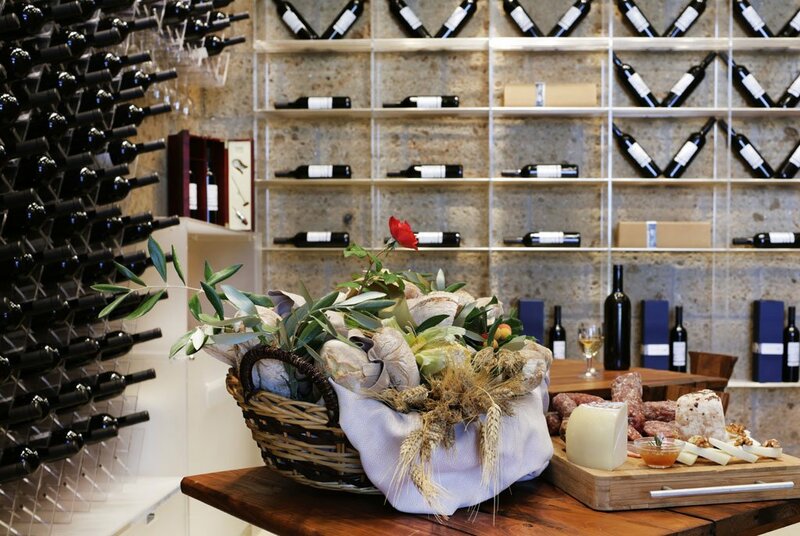 By going downstairs, you can choose to be accommodated in an environment characterised by soft lighting and the cool temperature that is essential to preserve the quality of our precious wine products. On request, it is possible to prepare this intimate and exclusive space for a romantic dinner by candlelight, or tasting tours to discover the local gastronomic tradition, giving unforgettable moments of nourishment for both body and mind. Not only simple tastings: what we propose is a real symposium of flavours, offering products that are typical of the locality in combination with small samples made using products from the farm. A real culinary experience in discovering the taste of the fruits of the surrounding land, which, when combined together, begin and inspire unique and unrepeatable sensations for the palate. 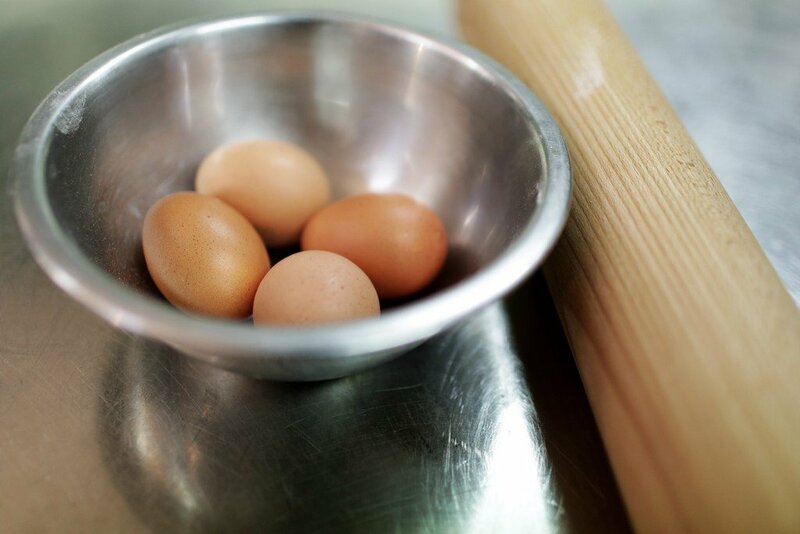 Not only recipes but also an opportunity for participant testing to enjoy nature and its top quality raw materials. 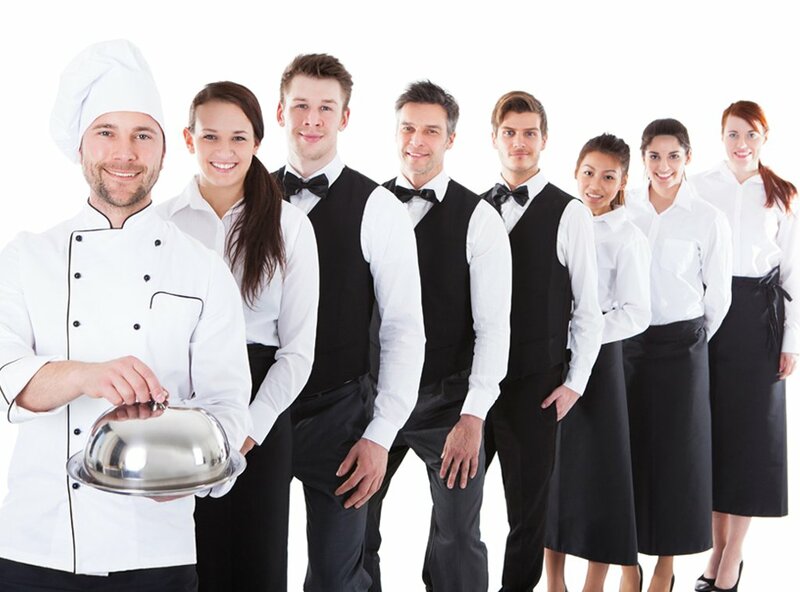 Thanks to the training of the kitchen and serving team from Campoli Azioni Gastronomiche, our qualified staff is fully dedicated to keeping our guests satisfied. We are open to your requests and special needs, whether at the table (vegetarian meals /food intolerances) or in the organisation of your events, to guarantee quality service in the fullest sense.